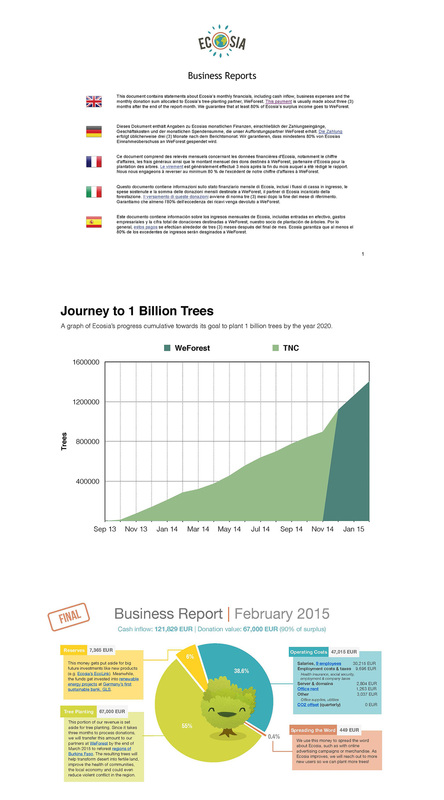 We love being transparent with you. 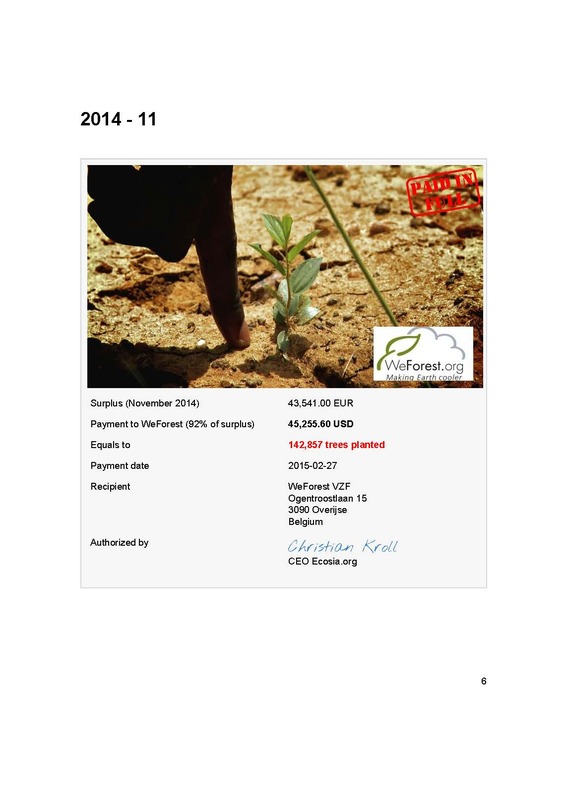 That's why we publish monthly financial reports and tree-planting receipts. 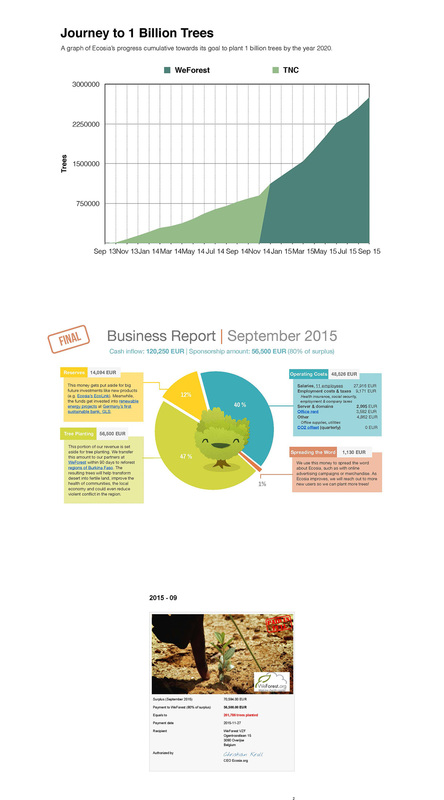 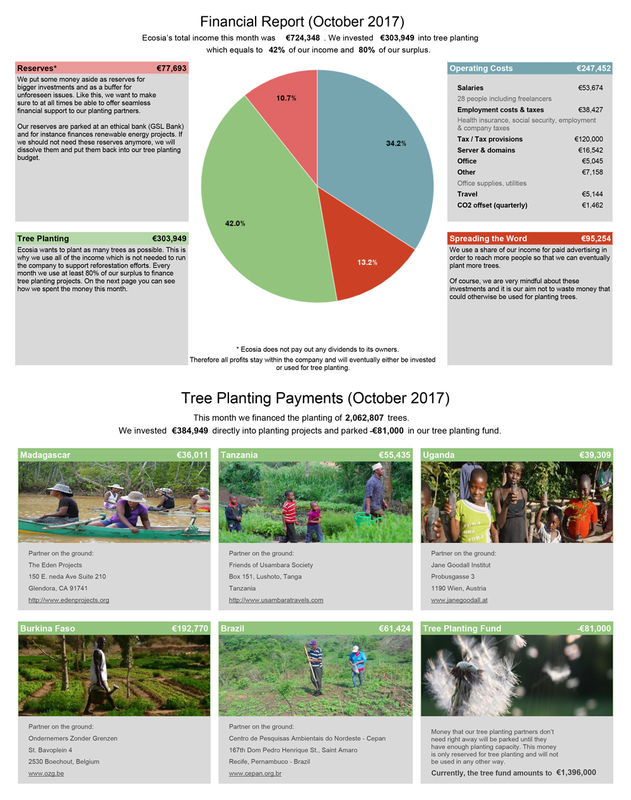 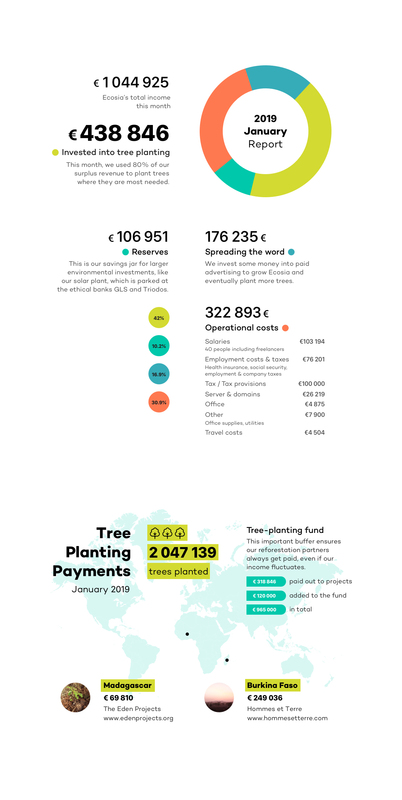 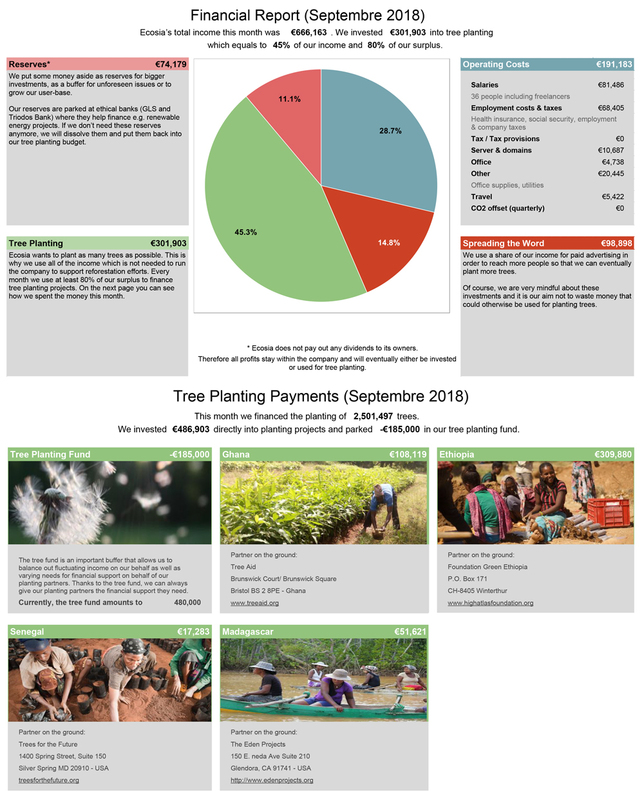 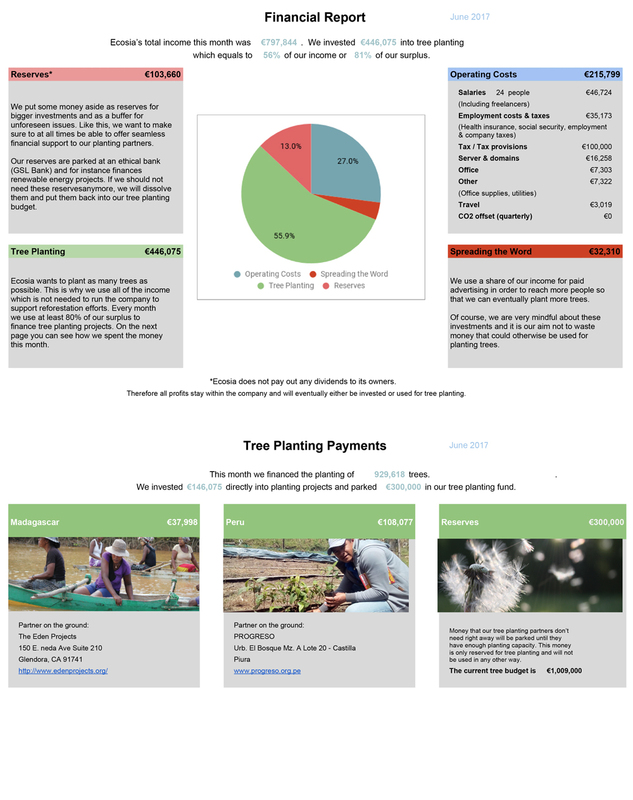 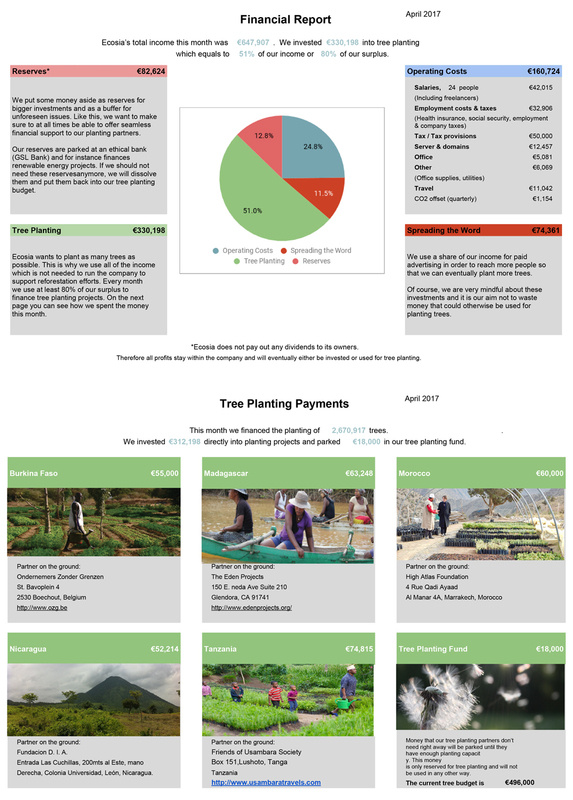 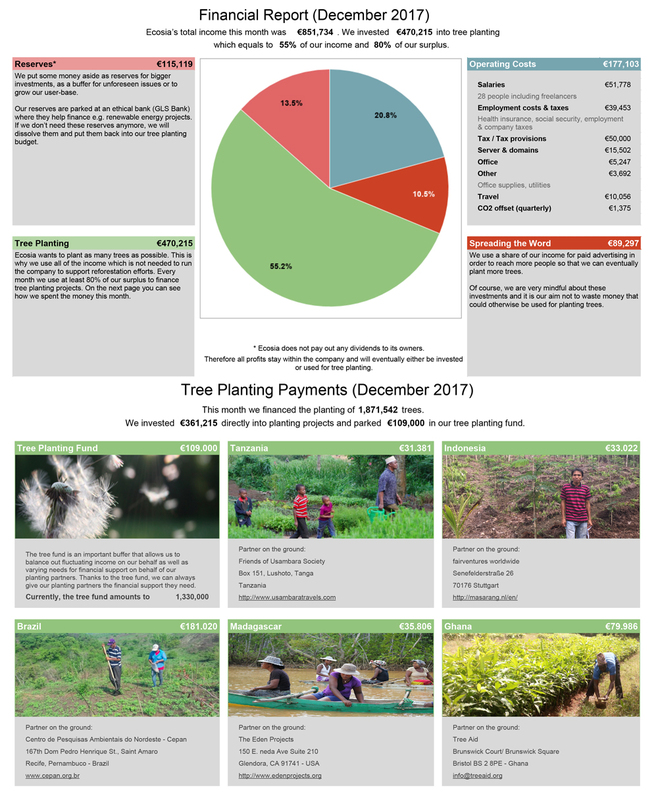 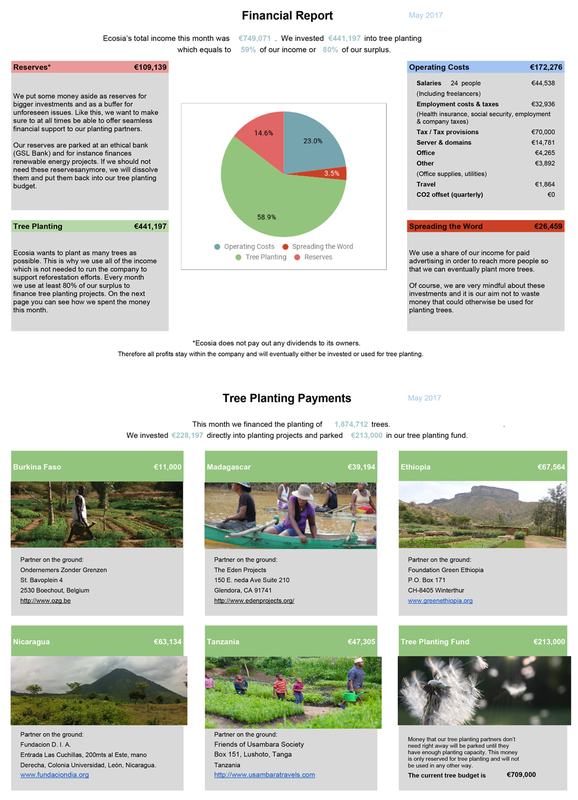 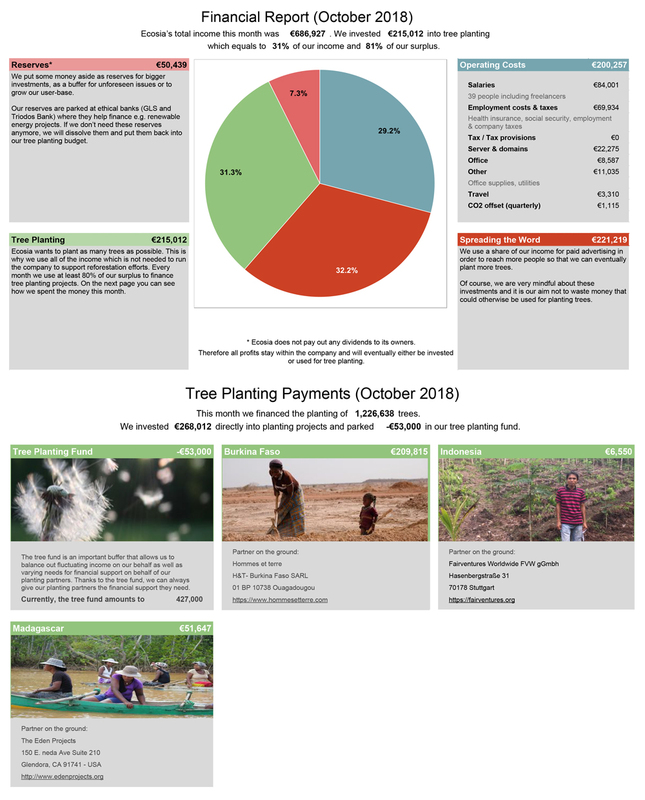 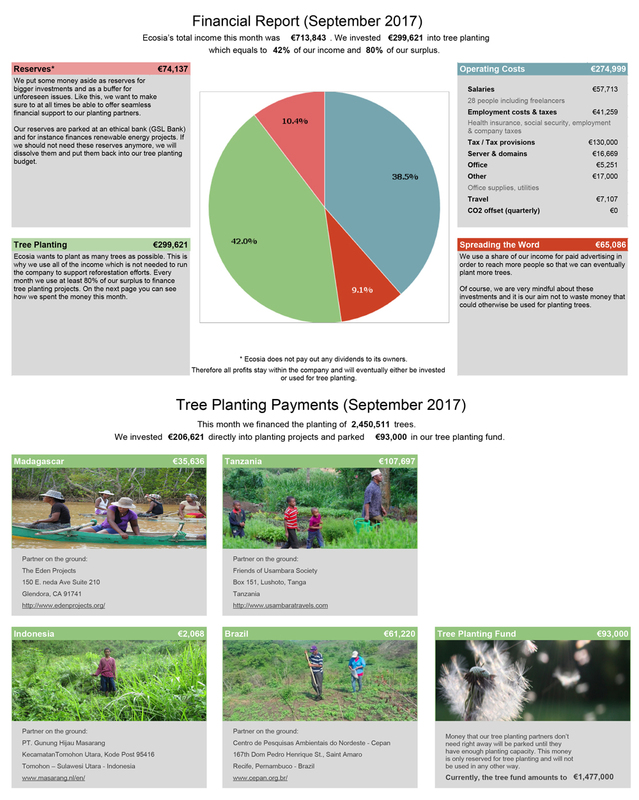 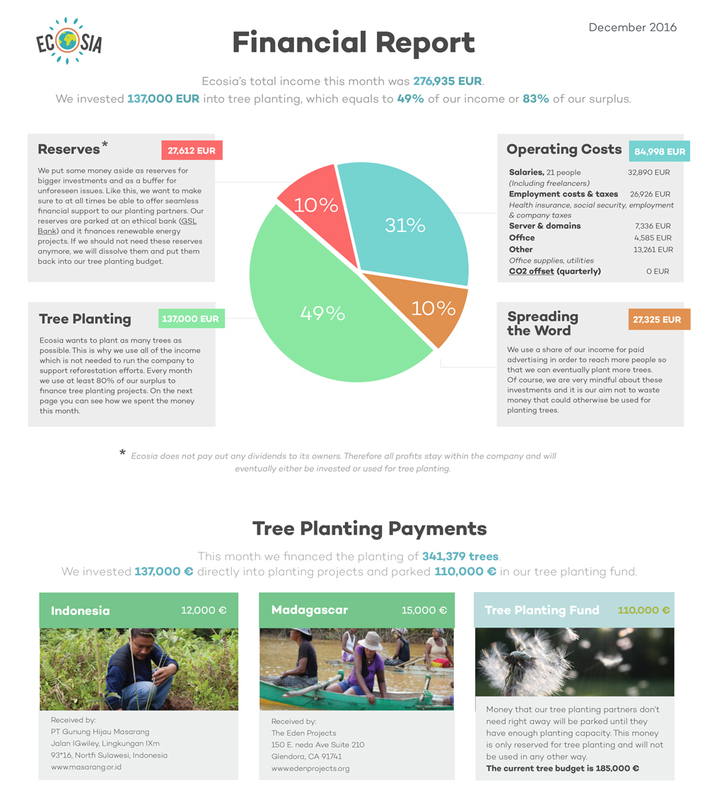 These show exactly how much money we made from your searches, and what percentage of our revenue went towards trees. 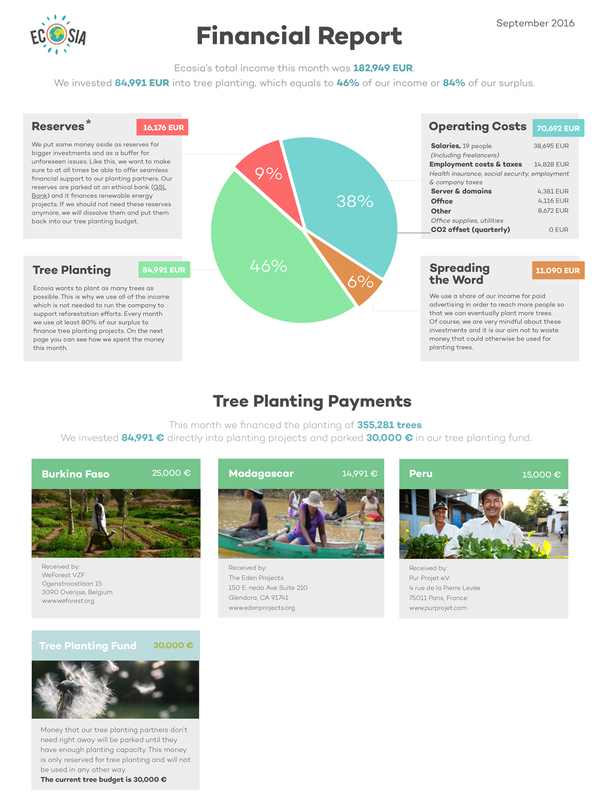 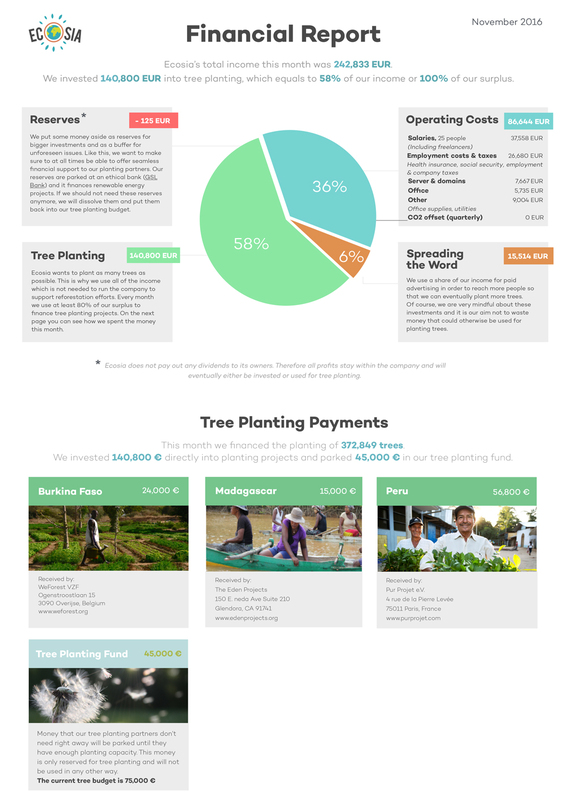 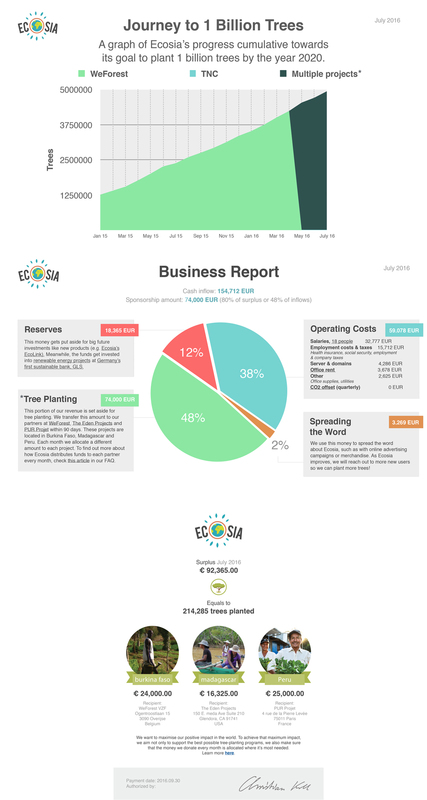 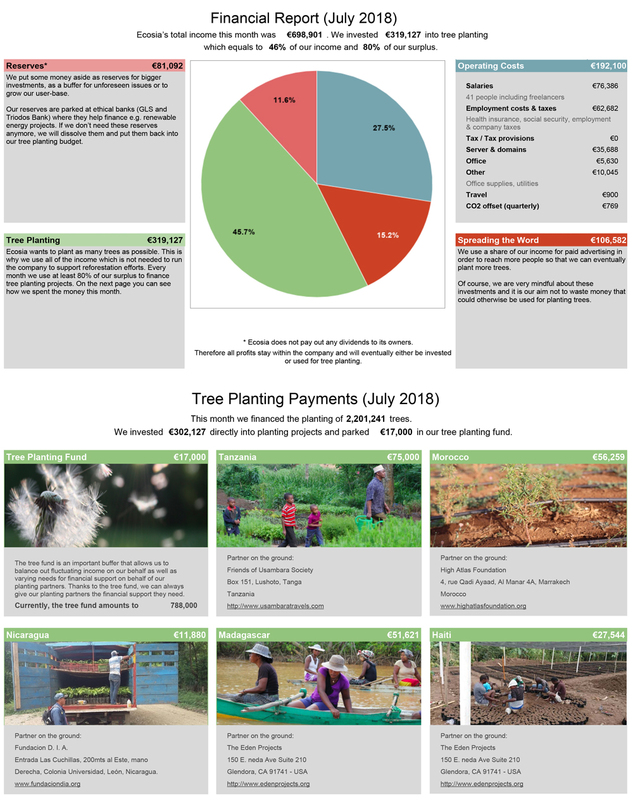 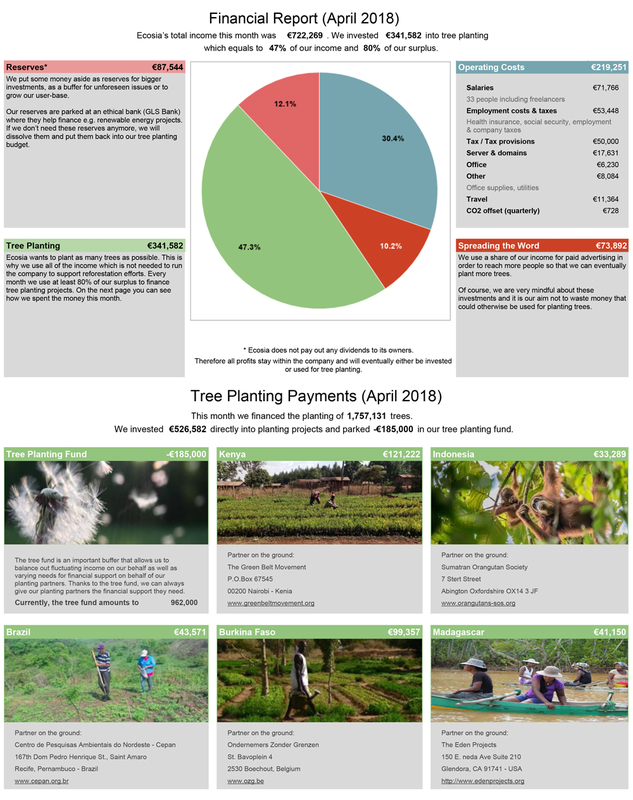 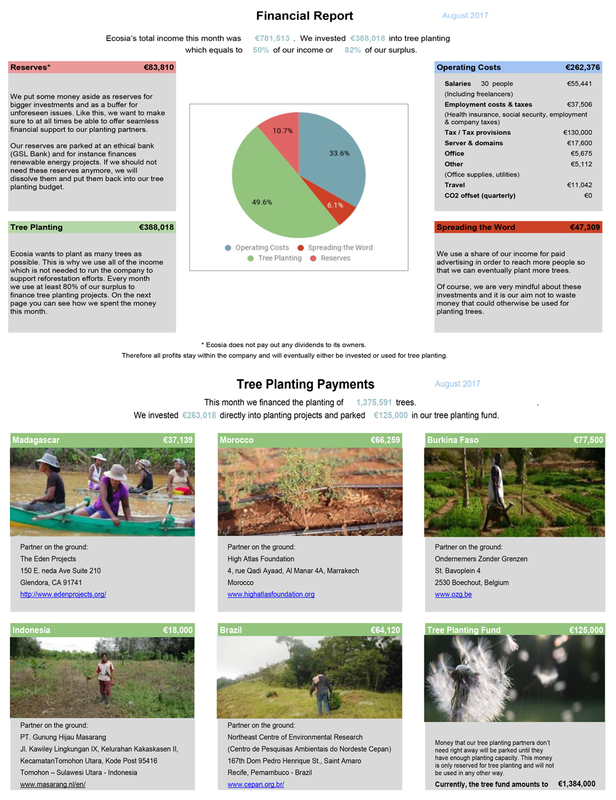 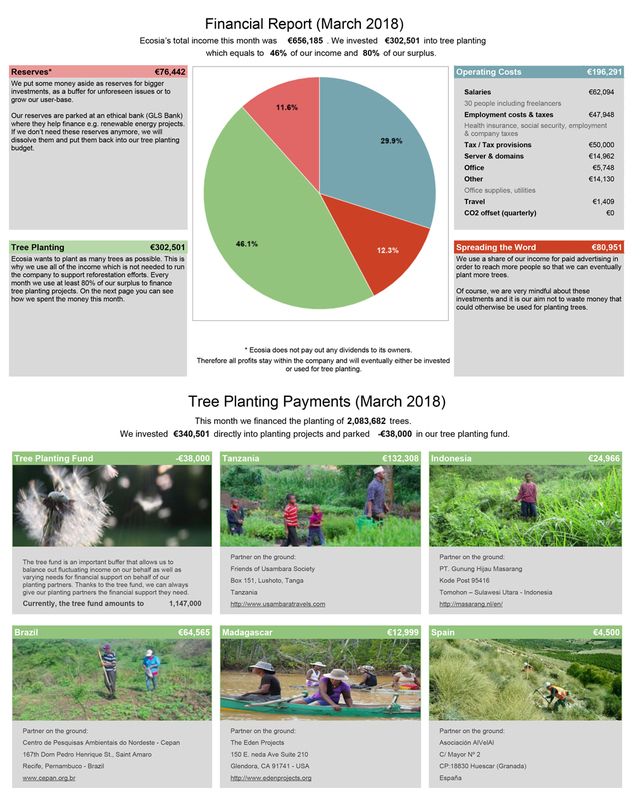 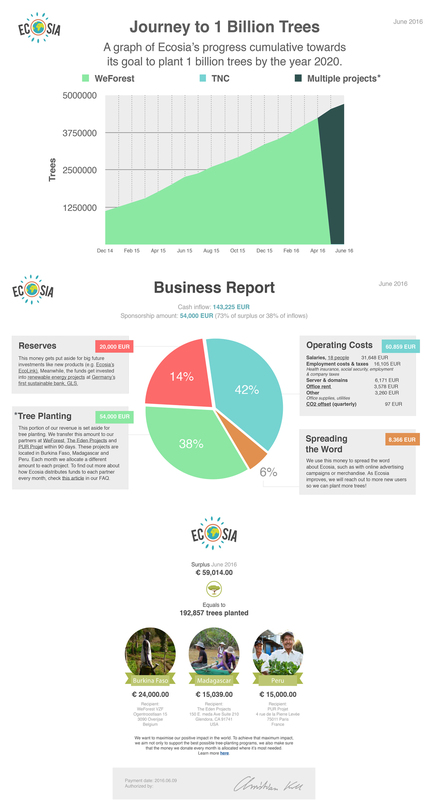 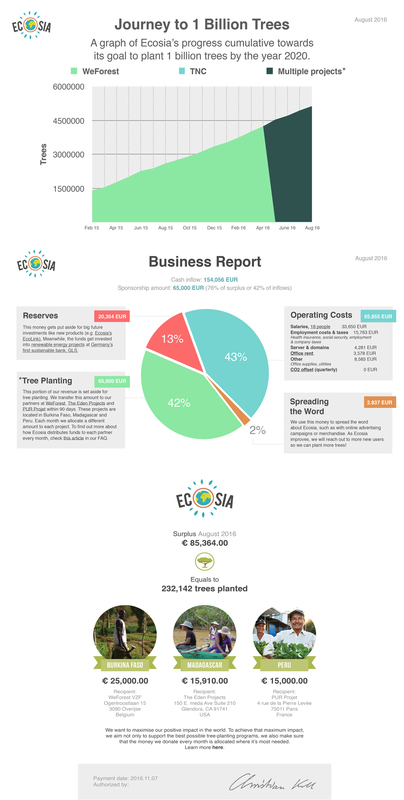 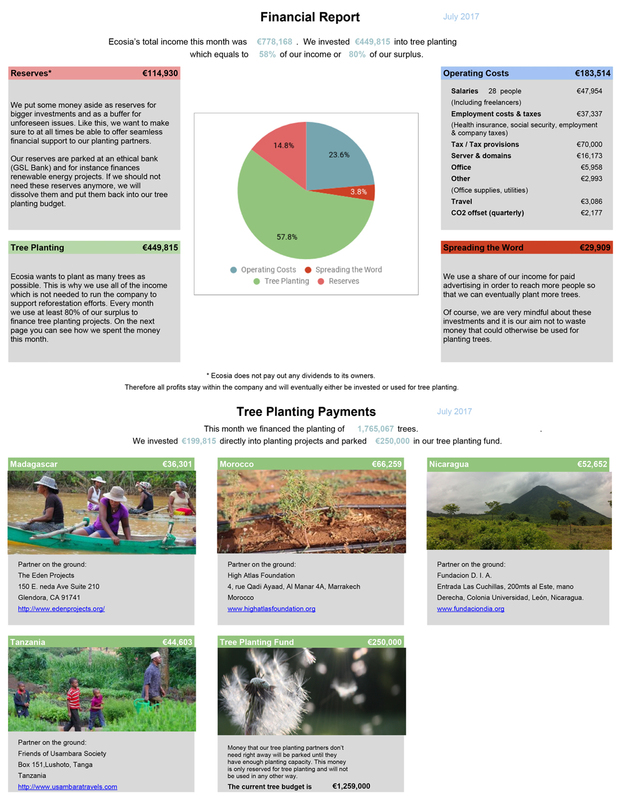 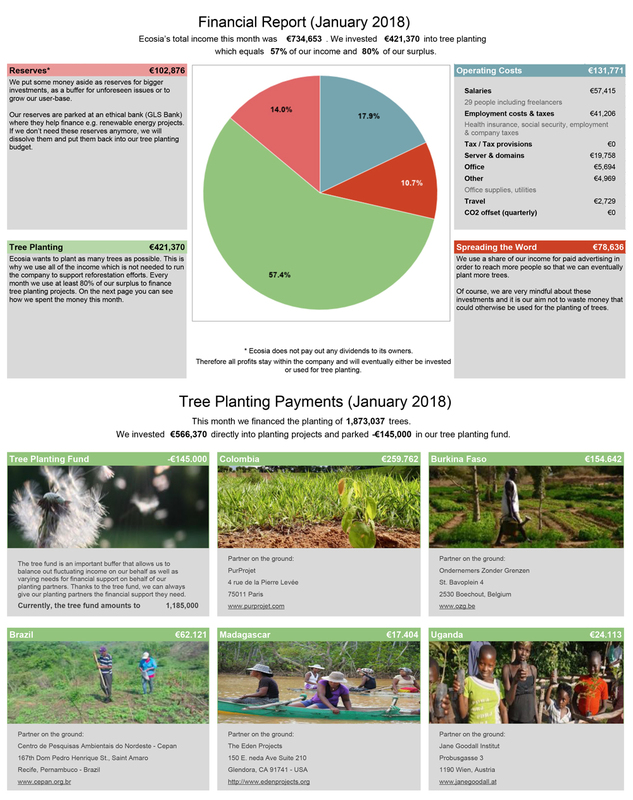 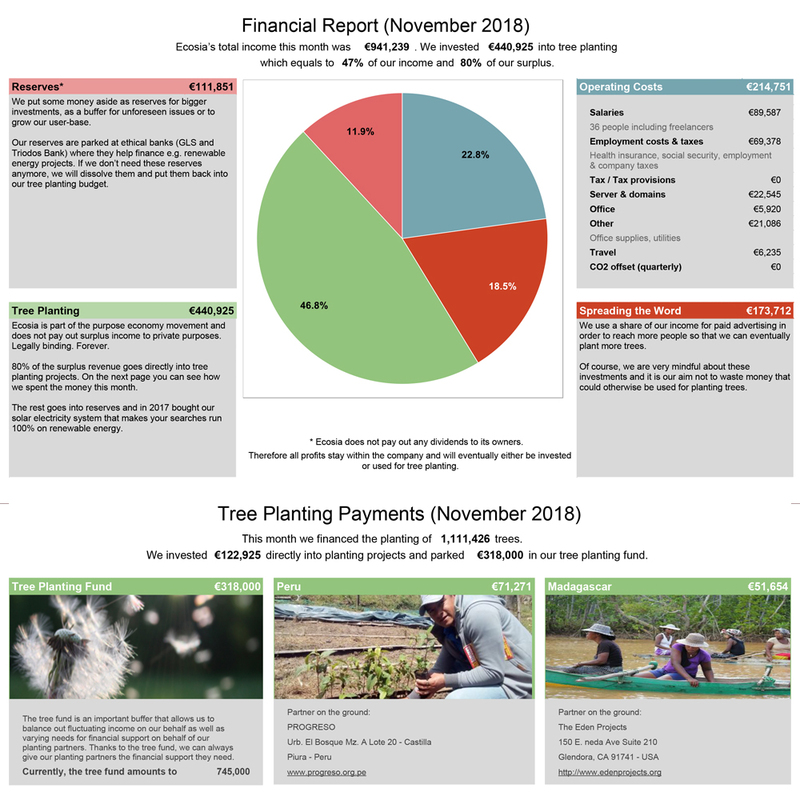 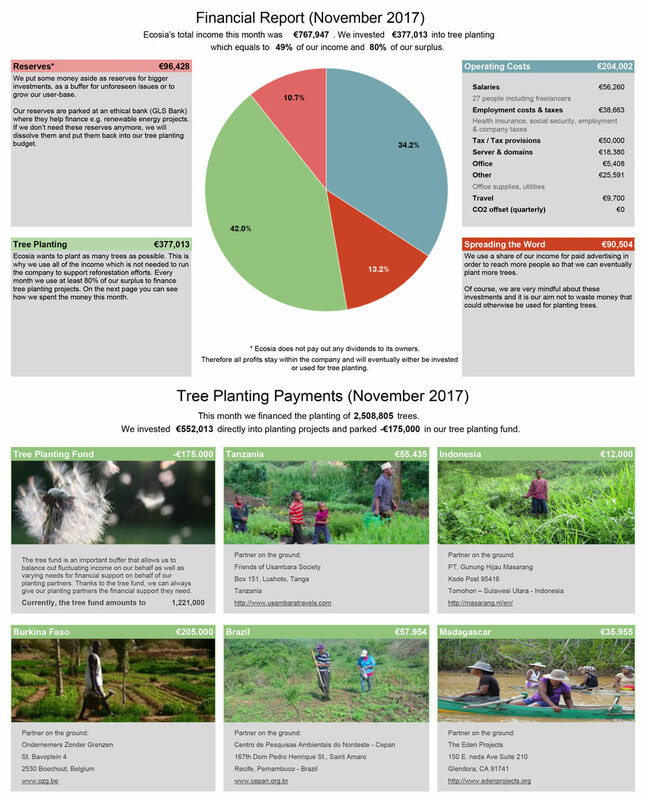 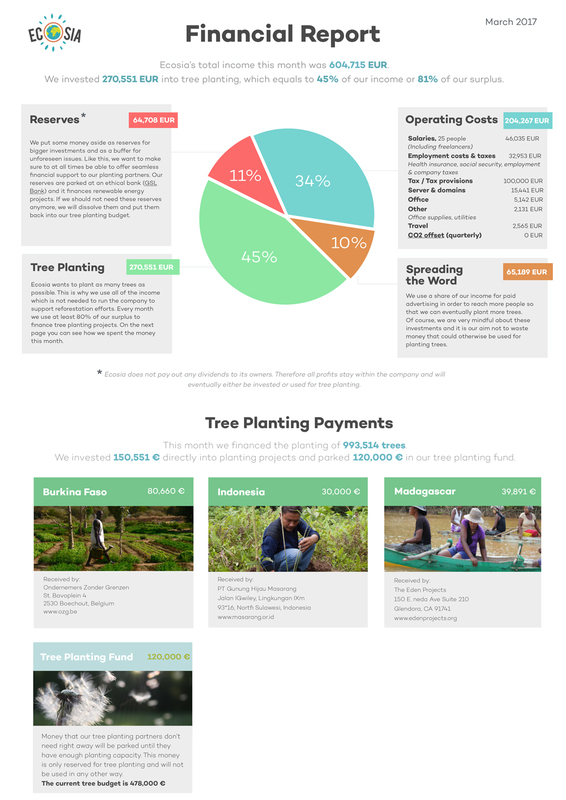 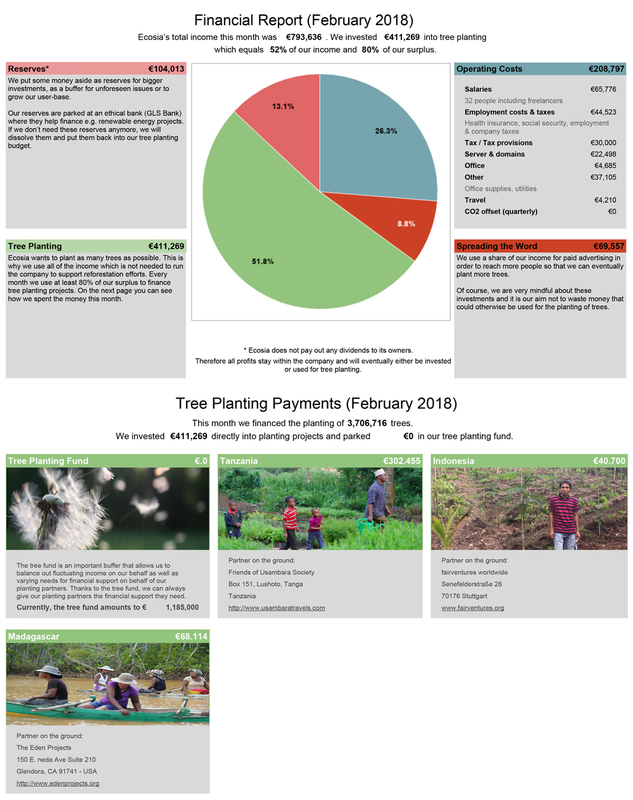 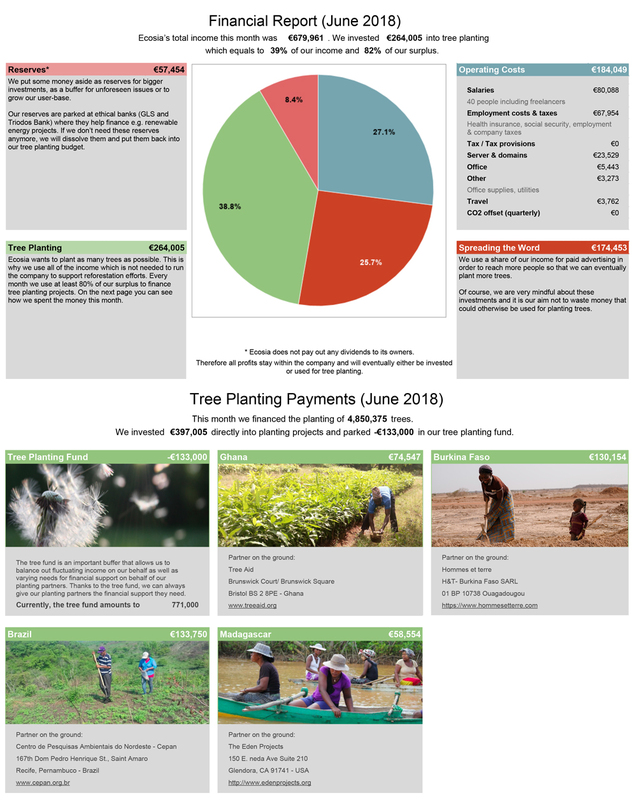 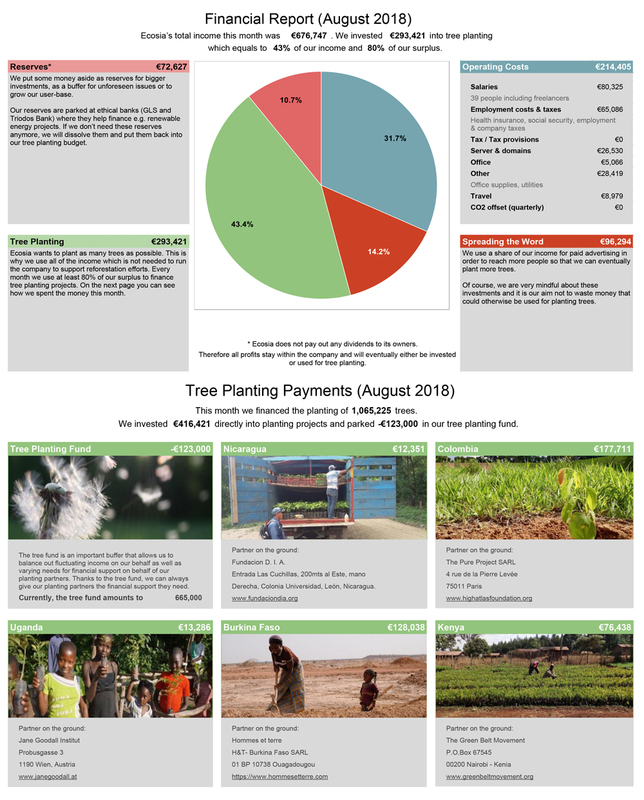 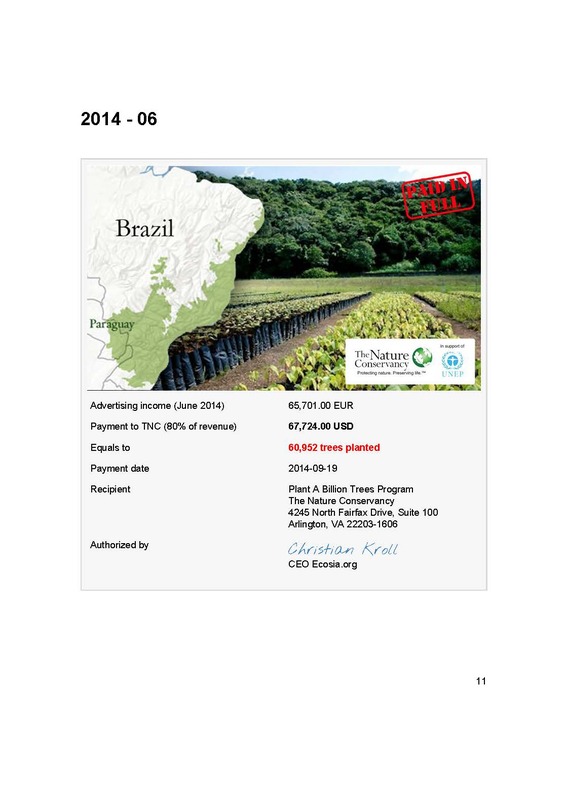 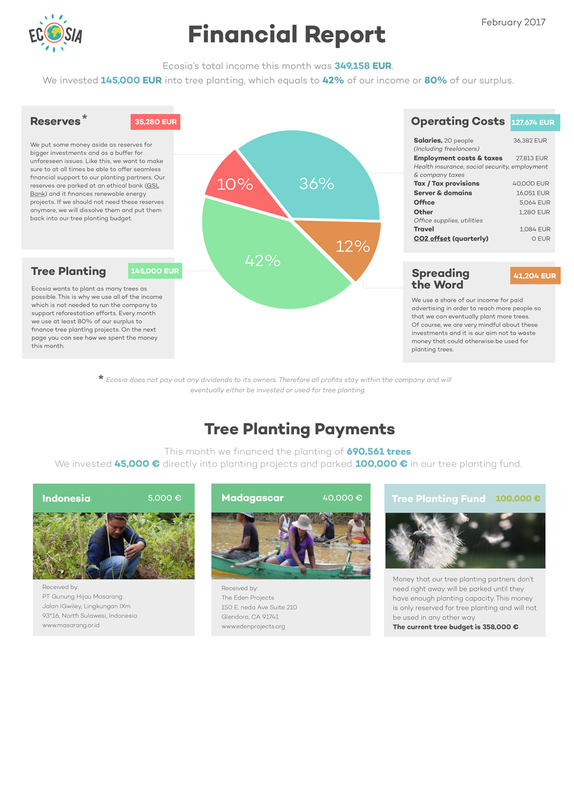 Ecosia does not pay out any dividends to its owners. 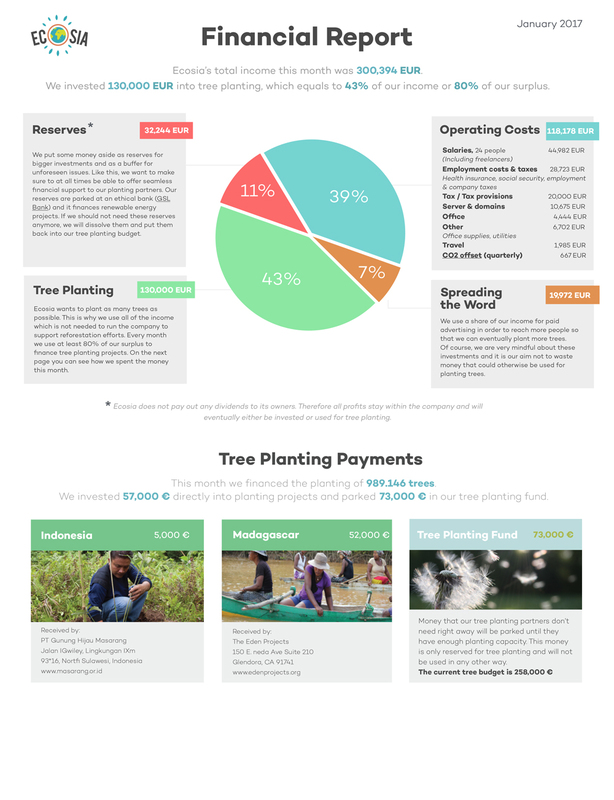 All profits stay within the company and will eventually either be invested or used for tree planting. 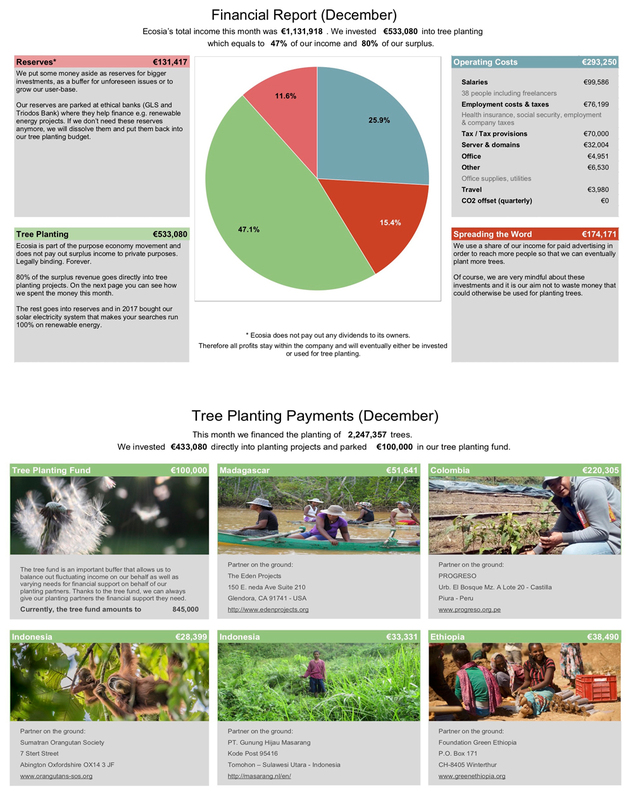 Please note that it takes six weeks to process the month's payments.